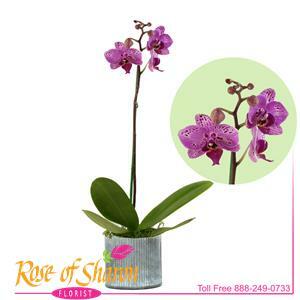 This beautiful, spotted phaleonopsis orchid is planted in our Norah galvanised, cashe-pot. Long lasting, simplicity and affordability at its best. Orchid may vary.